Are you ready to join Polik and Nika on the adventure of a lifetime as they rush to save Christmas? Purchase a copy of Christmas Nevermore and find out what happens when two children believe in something greater than all of us. **Please note buy the book directly from SRF and a portion of the book sale proceeds will be donated to Sanctuary for Kids. Beautifully illustrated, printed and bound on recyclable materials, in keeping with its ecological theme, Christmas Nevermore makes a wonderfully unique stocking stuffer or gift for your favorite Eco Kid! 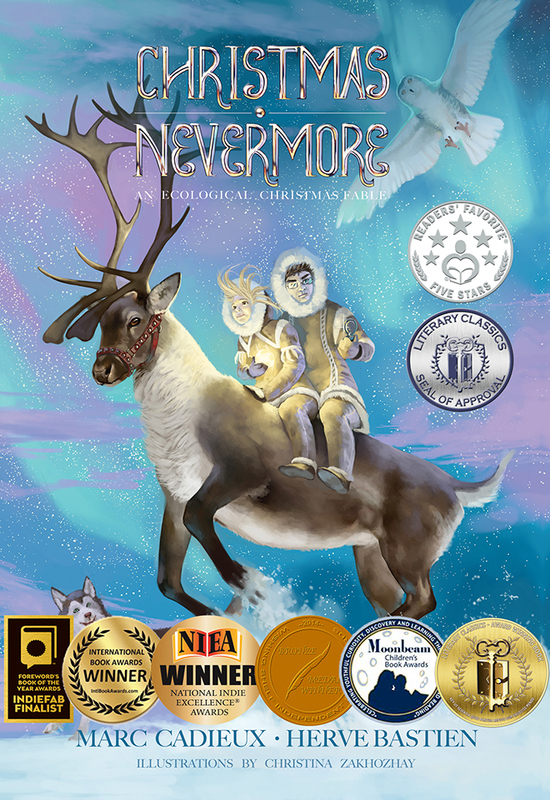 Purchase Christmas Nevermore and find out what happens when two children believe in something greater than all of us. and the Kobo cross platform app.